Among your regular list of expenses, you’re probably not exactly eager to add cloud storage costs to that list. Thankfully, the cloud storage services of Zoolz are not only getting some additional discounts during our Holiday Doorbusters Week of deals, they’re also customized to help meet your specific storage needs while keeping those costs down. For a limited time, you can pick up 2TB of Zoolz Cloud Storage space for life for an additional $10 off its already heavily discounted rate. Right now, it’s only $39, an over 90 percent savings, from TNW Deals just for this week. 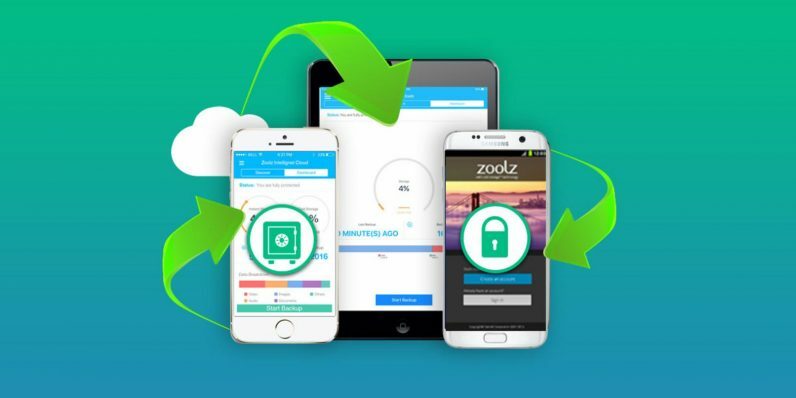 The process is simple…just use Zoolz’ Smart Selection to help you decide whether to store your data in the 1TB of Instant Vault storage for data you access regularly, or in the 1 TB of Cold Storage for data you don’t use very often. Either way, your files will be completely protected by military-grade AES-256 encryption. In addition to emptying out all that storage space, Zoolz works to help you keep your system clean and clutter-free with automatic backup scheduling, bandwidth throttling, icon overlay, file retention and more. Normally, 2TB of cloud storage would run up about $3,600 for a lifetime plan, so get on this special holiday price to get that service for only $39 just for this week.